A hydrogen fuel cell vehicle which was conceived and manufactured in Coventry has been shortlisted for a international transport design award. The zero emission machine from Microcab – a spin-out company from Coventry University – was picked out from an array of contenders to be in the running for the sixth annual Condé Nast Traveller’s Innovation & Design Awards. The H2EV is the brainchild of John Jostins, professor of sustainable transport design at Coventry University, and is powered by a state-of-the-art 3kW fuel cell which gives the car a 100 mile range. 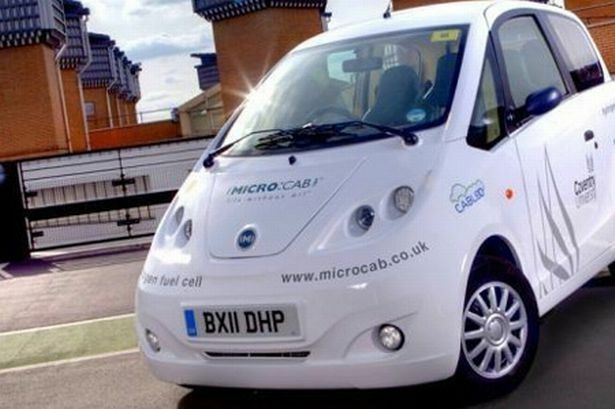 Mr Jostins, managing director of Microcab and professor of sustainable transport design at Coventry University, said: “It’s an honour for Microcab to be shortlisted for this illustrious award, and I’m delighted that recognition for the H2EV’s success and innovation is extending across continents.